By planting the right plants the right way, food plots can benefit your hunt in a big way. 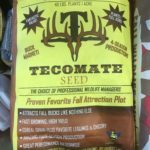 These planted seeds are a great way to grow more and bigger bucks, attract and hold deer in a specific area, and relieve pressure on the native habitat. By doing so it can actually improve it and benefits all wildlife species! 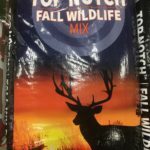 Argyle Feed Store has you covered with our stock of Annual food plots. Below are the seeds we have available. The best chance of working in the worst conditions. Example, if you want to just throw one out without having to actually plow and use a seeder this one has the best chance at coming up versus some of the other seeds. It has a yellow jacket enhanced seed coat. 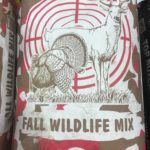 Great for smaller food plots at an economical price. Premium blend with coated seeds. This entry was posted on Wednesday, September 12th, 2018 at 9:24 pm	and is filed under News & Updates, Wildlife, Deer. You can follow any responses to this entry through the RSS 2.0 feed. Both comments and pings are currently closed.